Kaplan Construction was commissioned to transform an existing warehouse into a 12,000 SF space to house a microbrewery for Castle Island Brewing Company. 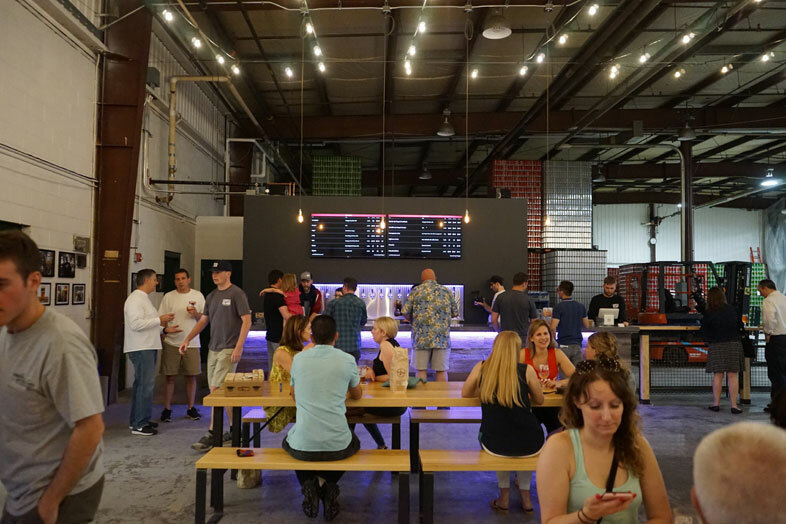 Kaplan’s primary focus was to modify the existing warehouse and complete the mechanical infrastructure necessary to support Castle Island’s highly specialized equipment so that brewing could commence before Thanksgiving 2015. A 3,000 SF section of concrete floor was promptly removed so that a new reinforced floor system with a urethane floor coating could be installed to support the 12 stainless steel tanks that can each weigh up to 28,000 pounds when full of beer. 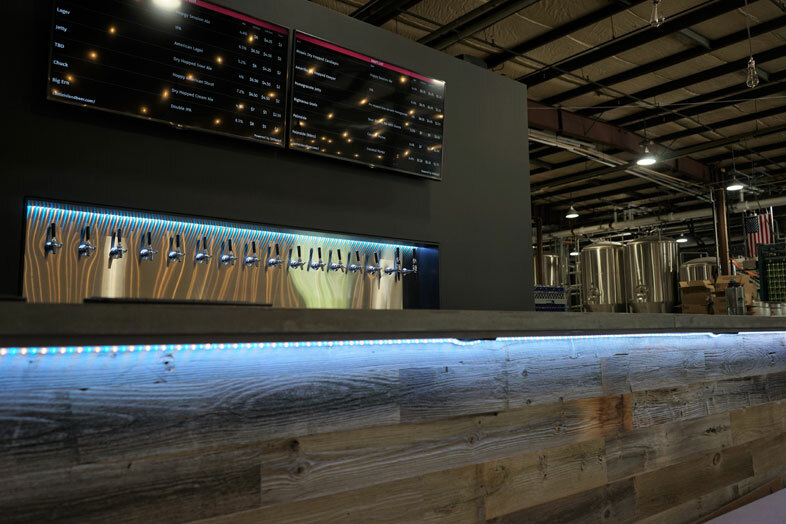 In 2017, Kaplan was hired again to expand their production area and build out a taproom. Kaplan installed a supplemental structural slab to support up to 14 additional fermentation tanks, increasing brewing capacity to over 40,000 barrels annually. A taproom with a bar and televisions was added, and existing bathrooms received cosmetic and ADA accessibility upgrades. Additionally, Kaplan upgraded the informal merchandise area to create a dedicated display and retail area. Kaplan has been an amazing partner for us. From day one, they worked with us to find creative ways to stay within our limited budget. We had to take an empty box and fit it out to our very specific needs in a very short time frame. We couldn’t have realized our dream of opening our own brewery without them.